John Jay (1745 to 1829), a native of New York State, was a patriot, statesman, diplomat, and one of America’s Founding Fathers who served the early United States government in many capacities. In 1783, Jay negotiated and signed the Treaty of Paris ending the American Revolutionary War and acknowledging the United States as an independent nation. He later served as the first chief justice of the U.S. Supreme Court and as the second governor of New York State. After helping to draft the U.S. Constitution and secure its ratification in 1788, Jay served as the chief architect of U.S. foreign policy for much of the 1780s and helped shape the future of American politics during the 1790s as one of the leaders of the Federalist Party. Born in New York City on December 23, 1745, John Jay hailed from a well-off merchant family of French Huguenots who had migrated to the United States seeking religious freedom. Jay’s father, Peter Jay, prospered as a commodities trader, and he and Mary Jay (née Van Cortlandt) had seven surviving children together. In March 1745, the family moved to Rye, New York, when Jay’s father retired from business to care for two of the family’s children who had been blinded by smallpox. During his childhood and teen years, Jay was alternately homeschooled by his mother or outside tutors. In 1764, he graduated from New York City’s King’s College (now Columbia University) and began his career as an attorney. After graduating from college, Jay quickly became a rising star in New York politics. In 1774, he was elected as one of the state’s delegates to the first Continental Congress that would lead to the beginning of America’s journey on the road to revolution and independence. Though never a loyalist to the Crown, Jay first backed a diplomatic resolution of America’s differences with Great Britain. However, as the effects of Britain’s “Intolerable Acts” against the American colonies began to mount and as war became increasingly likely, he actively backed the Revolution. During much of the Revolutionary War, Jay served as American Foreign Minister to Spain on what proved to be a largely unsuccessful and frustrating mission seeking financial support and official recognition of American independence from the Spanish Crown. Despite his best diplomatic efforts from 1779 to 1782, Jay succeeded only in securing a $170,000 loan from Spain to the U.S. government. Spain refused to recognize America’s independence, fearing its own foreign colonies might in turn revolt. In 1782, shortly after the British surrender at the Revolutionary War’s Battle of Yorktown effectively ended fighting in the American colonies, Jay was dispatched to Paris, France along with fellow statesmen Benjamin Franklin and John Adams to negotiate a peace treaty with Great Britain. Jay opened the negotiations by demanding the British recognize American independence. In addition, the Americans pressed for territorial control of all North American frontier lands east of the Mississippi River, except for British territories in Canada and Spanish territory in Florida. In the resulting Treaty of Paris, signed on September 3, 1783, Britain acknowledged the United States as an independent nation. Lands secured through the treaty essentially doubled the new nation’s size. However, many disputed issues, such as control of regions along the Canadian border and British occupation of forts on U.S.-controlled territory in the Great Lakes area remained unresolved. These and several other post-revolution issues, specifically with France, would eventually be addressed by another treaty negotiated by Jay—now known as Jay’s Treaty—signed in Paris on November 19, 1794. During the Revolutionary War, America had functioned under a loosely crafted agreement among the colonial-era governments of the 13 original states called the Articles of the Confederation. After the Revolution, however, weaknesses in the Articles of the Confederation revealed the need for a more comprehensive governing document—the U.S. Constitution. While John Jay did not attend the Constitutional Convention in 1787, he strongly believed in a stronger central government than that created by the Articles of the Confederation, which granted most governmental powers to the states. 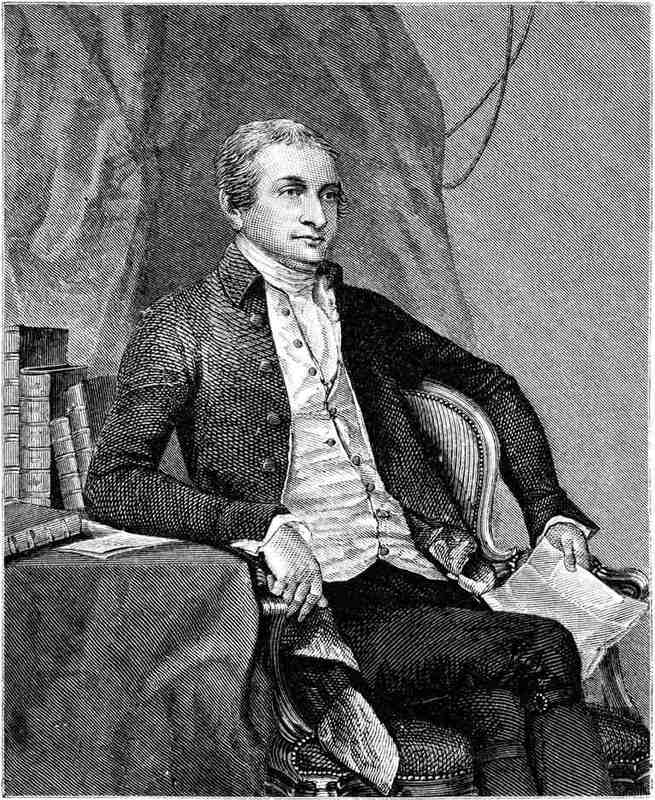 During 1787 and 1788, Jay, along with Alexander Hamilton and James Madison, wrote a series of essays widely published in newspapers under the collective pseudonym “Publius” advocating the ratification of the new Constitution. Later collected into a single volume and published as the Federalist Papers, the three Founding Fathers successfully argued for the creation of a strong federal government that serves the national interest while also reserving some powers to the states. Today, the Federalist Papers are often referred to and cited as an aid to interpreting the intent and application of the U.S. Constitution. In September 1789, President George Washington offered to appoint Jay as Secretary of State, a position which would have continued his duties as Secretary of Foreign Affairs. When Jay declined, Washington offered him the title of Chief Justice of the United States, a new position which Washington called “the keystone of our political fabric.” Jay accepted and was unanimously confirmed by the Senate on September 26, 1789. Smaller than today’s Supreme Court, which is made up of nine justices, the chief justice, and eight associate justices, the John Jay Court had only six justices, the chief justice and five associates. All of the judges on that first Supreme Court were appointed by Washington. Jay served as chief justice until 1795, and while he personally wrote the majority decisions on only four cases during his six-year tenure on the Supreme Court, he greatly influenced the future rules and procedures for the rapidly developing U.S. federal court system. Jay resigned from the Supreme Court in 1795 after being elected as the second governor of New York, an office he would hold until 1801. During his tenure as governor, Jay also ran unsuccessfully for President of the United States in 1796 and 1800. Though Jay, like many of his fellow Founding Fathers, had been a slaveholder, he championed and signed a controversial bill in 1799 outlawing slavery in New York. In 1785, Jay had helped found and served as president of the New York Manumission Society, an early abolitionist organization that arranged boycotts of merchants and newspapers involved in or supporting the slave trade, and provided free legal assistance for free black persons who had been claimed or kidnapped as slaves. Jay died at age 84 on May 17, 1829, in Bedford, New York and was buried in the family cemetery near Rye, New York. Today, the Jay Family Cemetery is part of the Boston Post Road Historic District, a designated National Historic Landmark and oldest maintained cemetery associated with a figure from the American Revolution. Jay married Sarah Van Brugh Livingston, the eldest daughter of the New Jersey Governor William Livingston, on April 28, 1774. The couple had six children: Peter Augustus, Susan, Maria, Ann, William, and Sarah Louisa. Sarah and the children often accompanied Jay on his diplomatic missions, including trips to Spain and Paris, where they lived with Benjamin Franklin. Stahr, Walter. “John Jay: Founding Father.” Continuum Publishing Group. ISBN 978-0-8264-1879-1. Gellman, David N. Emancipating New York: The Politics of Slavery and Freedom, 1777–1827 LSU Press. ISBN 978-0807134658.